RANDOLPH COUNTY, Mo. 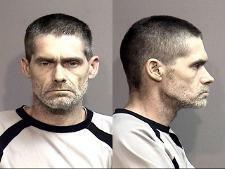 – A Moberly man has been released on bond, for drug charges filed in Randolph County. At a 1:30 p.m. hearing Monday, the associate judge allowed a bond reduction for Shawn Christopher Reese, 42. A warrant was issued April 30, 2018, charging Reese with two felony counts of possession of a controlled substance with intent to distribute and felony possession of marijuana. The next hearing for Reese is scheduled for 1:30 p.m. on Monday, June 11, 2018.